Imagine yourself on a beach lit by amarantos (traditional Mexican candles) with drinks, snacks and Maya-themed cocktails settling in to watch the stars! 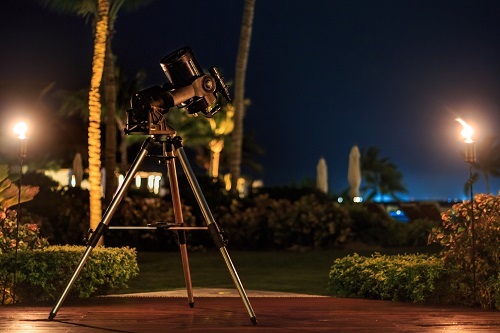 Grand Velas Riviera Maya has launched a new stargazing series for guests lead by an expert astronomer from the Astronomic Society of Quintana Roo (SAQROO). The Maya used the alignment of the stars and planets to help with agriculture, time keeping and the creation of their calendar and believed that celestial events allowed them to communicate with the gods. When you stargaze at Grand Velas Riviera Maya, you’ll get to explore these connections against the backdrop of the beautiful Caribbean Ocean. State-of-the-art telescopes are provided so you’ll be able to get a close look at constellations, planets and the detail of the moon. SAQROO’s experts unravel Mayan mythology and will help you take pictures of what you discover as you journey through the skies. Stargazing is offered weekly and is part of a series of complimentary activities focused on ecological issues and nature. There’s also an Ecological Tour and Mayan show that both explore the importance of the stars in the Mayan culture. A new sea turtle experience also debuted recently at Grand Velas Riviera Maya’s sister resort Velas Vallarta in Puerto Vallarta, Mexico. In this experience, you’ll have the opportunity to participate in conservation training, hatchling releases, nesting patrol and cleaning of hatching nests. Available through December, the new program at the EarthCheck-certified Gold resort is in addition to on-site behind-the-scene Eco Tours. Don’t Forget to Post Your #FamilyTravelTruth Photos! This post is sponsored by Preferred Hotels & Resorts. We’re heading into the final days of the #FamilyTravelTruth contest! I hope you’ve been Instagramming all those crazy, fun, sweet and LOUD moments from your travels, because they could win you a two-night stay at one of Preferred Hotels & Resorts’ family-friendly luxury hotels around the world and 25 Instagram photo prints from Artifact Uprising. *Full rules and terms apply and are available at PreferredHotels.com/FamilyTravelTruth. This is a sponsored post. Poshbrood has partnered with Preferred Hotels & Resorts to promote this contest. We do not have any say over the prize, judging or winners of this contest. All thoughts and opinions expressed on Poshbrood and Posh Blog are our own. 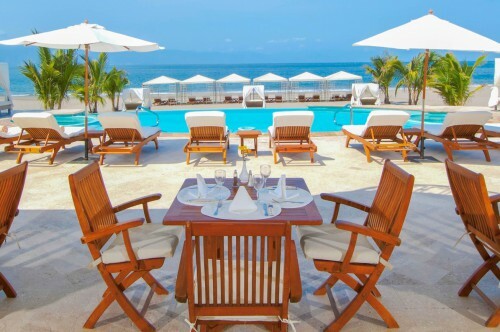 This week guest poster Amy Moeller, is sharing all about her wonderful three-day adventure of relaxing at Casa Velas in Puerto Vallarta, Mexico. Casa Velas is an adults-only resort with fabulous dining, beautiful beaches, luxury accommodations, an incredible spa and, if you somehow get tired of relaxing, there’s yoga, golf, cooking classes and more for entertainment. Head over to the Destination side of Posh for the full article! If you’re headed to the Caribbean, you definitely want to stay at best beach in the world, right? Well, you don’t have to wonder which one it is anymore! TripAdvisor’s Travelers’ Choice Awards tells us exactly where to go based on millions of valuable reviews and opinions from discerning travelers all around the world. This year, they’ve named the stunning Grace Bay Beach not just the number one beach in the Caribbean but also in the world. So where to stay when you get there? 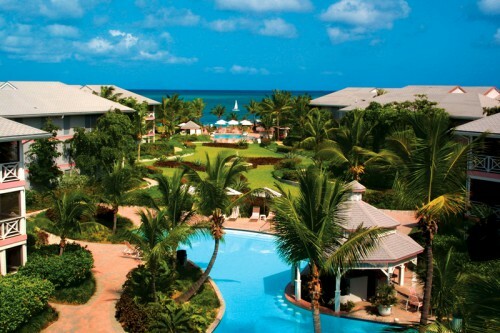 Ocean Club Resorts is chock full of gorgeous landscapes, luxury accommodations and engaging activities. The resort is comprised of two all-suite properties, Ocean Club and Ocean Club West, located just one mile apart on Grace Bay Beach. The beach is 12 miles of powdery white sand and crystal clear, turquoise waters, with average water temperature ranging from 79-84 degrees Fahrenheit year-round. Sign me up! 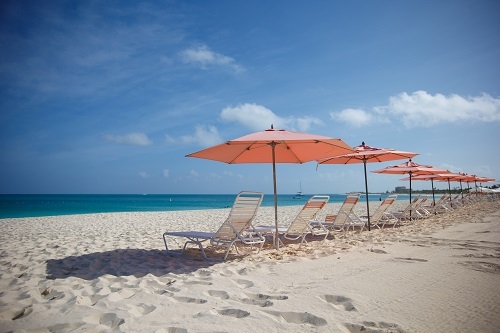 The award-winning beach offers Ocean Club Resorts’ guests the ideal tranquil environment to lounge in total relaxation under one of the resort’s signature pink umbrellas. Ocean Club is located on the widest section of the pristine beach. Don’t Let Your Brood Get Bored While Traveling! This post contains a link sponsored by Esta-Form. It’s August, and that means there’s just enough time for One.Last.EPIC.family vacation. Book your plane tickets and hotel, check your passports are valid and head out! And for our European friends coming to the US, remember your ESTA Visa waiver. After that, all that’s left to do is pack. Once you’ve got all the clothing and essentials down, it’s time to focus on keeping the brood busy while traveling. After all, there’s nothing worse than bored kids on in a small space. So, here are some tips for keeping your little ones occupied on planes, trains and automobiles! Snacks, snack, snacks. Eating gives us something to do, so it’s a go-to attention grabber. But no matter how young or old we are, avoid eats that are too high in sugar. 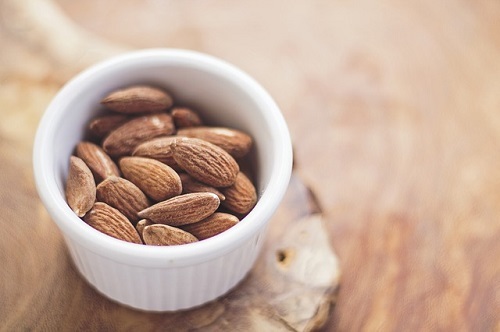 Check out our recommendations, and pack some healthier snacks to balance things out. Travel time can be quality time! Distractions are at a minimum, so it’s a perfect opportunity to use your imagination, and tell a story together. You don’t even have to go totally original. Why not write out their favorite fairy tale…but change the ending? It’s a nice way to get a little insight into their budding personality, and you get to be creative. If you’re traveling with a bigger group, you can write a chain story. Each person writes a paragraph and shows the final line to the next writer. Once the final person has written their section, read the story out loud for all to hear. There are usually some very funny outcomes. 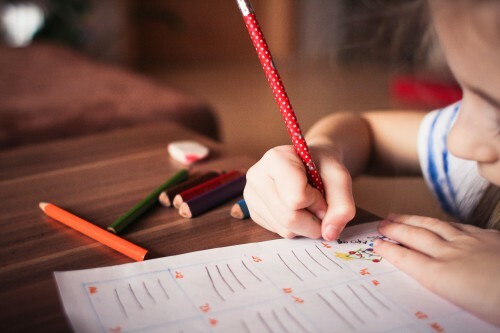 Crayons, pens and pencils are always another option if your child prefers to draw rather than write. This is also a good option to keep little ones occupied on a long plane journey. Flight attendants are often happy to display your child’s work in the gallery or the kitchen. And kids are more likely to concentrate and take their time if they know the picture is for the flight crew. When boredom really moves in and sets up shop, movies, games and kid-friendly entertainment (find our faves here!) can save the day on long flights or car trips. 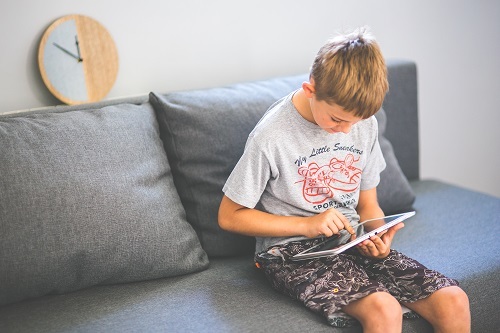 Kids have a hard time with adult-sized ear buds, so make sure you’ve got what they need before you leave. And bring a backup pair! No one wants to pay airport prices for headphones. 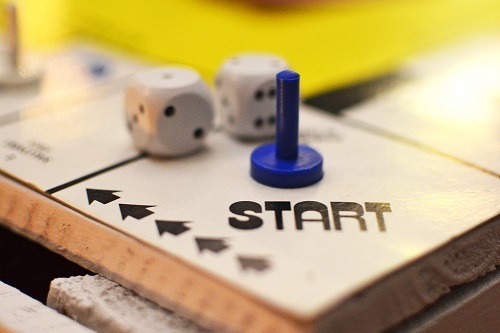 Board games aren’t just for home! There are tons of travel editions of your favorite games—tailor-made for vacation. Some even have options you can play on the tablet. You’ll be amazed at how quickly the time passes when your children get into the swing of things, and you’ll encourage your child’s competitive streak. Hopefully, they don’t get too competitive! 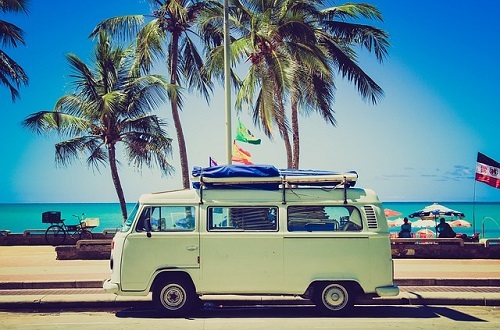 Use these ideas for fun family bonding to keep everyone blissed out on the journey, and you’ll all arrive much happier and ready to vacation! Kids love trains, and the Premier Rail Collection does NOT disappoint. 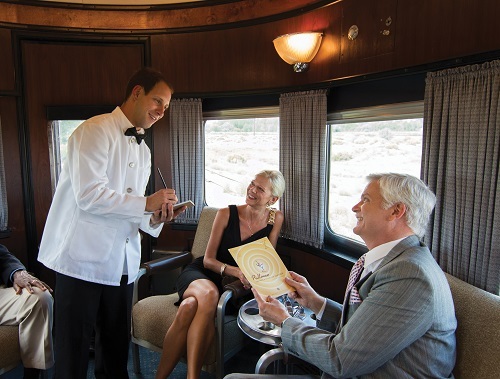 Choose the adventure that suits your brood, and experience a revival of the golden age of rail travel. You’ll experience a full day of exploration and excitement while riding aboard restored, vintage railcars and passing over some of the nation’s most historic and scenic routes. We’ve got a complete list of Premier Rail Collection’s new family offerings for the 2016 summer season! 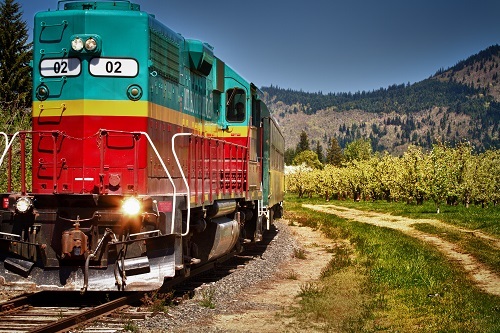 Offering unforgettable journeys through the scenic valleys of the Columbia River Gorge in the shadow of Mount Hood, OR, the Mount Hood Railroad takes passengers through the valley’s orchards, forests, vineyards and farmlands. Enjoy picturesque views of the vivid greens of summer on excursion trains to new destination Odell, where a 30-minute turnaround stop offers time for a picnic, a walk around the park and views of Mount Hood and Mount Adams. As an official partner of Amtrak and in coordination with Pullman Gold Service train travel, Key Holidays offers an exciting way to explore California through a variety of expertly planned sightseeing packages. Some of the country’s most prized national treasures are reachable by Key Holidays service via Amtrak including San Francisco, Yosemite, the Hearst Castle, the Grand Canyon and more. The Rio Grande Scenic Railroad winds its way through the Southern Rockies in vintage passenger cars pulled by a stylish mid-century diesel engine. Guests can choose from a number of weekday sightseeing excursions offering dramatic views of rugged mountains from La Veta Pass, the highest mainline railroad mountain pass in the United States. 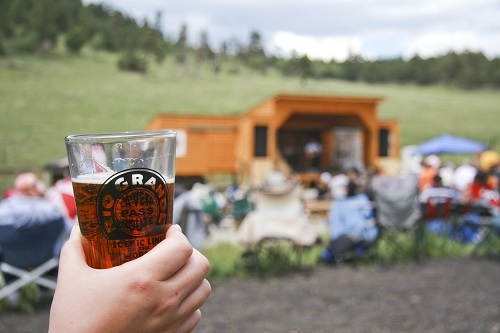 As part of its Mountain Rails Live Summer Concert Series, guests can hop aboard any weekend June through Sept. to enjoy a one-of-a-kind concert featuring acclaimed western folk musicians at a 9,400-feet private concert venue. For more information please visit http://www.coloradotrain.com or call 877-726-7245. Tickets start at $99 for adults / $89 for children for scenic excursions and $39 for adults / $29 for children for the Mountain Rails Live Summer Concert Series. The Texas State Railroad offers historic train excursions through the gorgeous and mysterious East Texas wilderness aboard one of the few remaining operating steam trains in the United States. The 4 ½ hour Piney Woods Excursiondeparts from Rusk and Palestine on a regular weekly schedule and includes the rare chance to see two historic steam trains switch tracks and pass each other. A one hour layover gives guests ample time to explore the depots, which both have picnic areas, historical displays, gift shops, concessions, adjoining campsites and more. 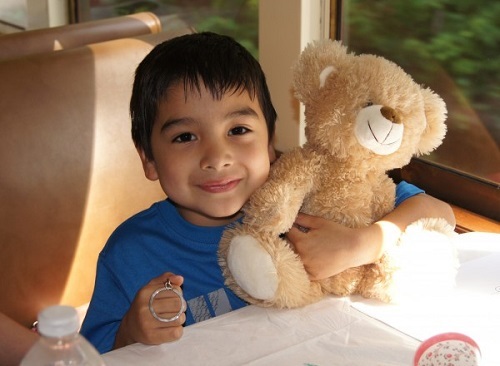 The Teddy Bear’s Train Ride will be held on August 5 at 11 a.m., 2:30 p.m. and 4:30 p.m. The train will run to Maydelle where the engine will turn around on a historic 1890’s turntable and then return to Rusk. The ride will feature snacks, children’s music, teddy bear coloring book pages and a special opportunity to meet the entire Beary Bear family. Children who bring their teddy bears ride for free! The mountains surrounding Saratoga Springs are a leisurely train ride away via the Saratoga & North Creek Railway. Journeying along 52 miles of the Hudson River and offering roundtrip excursions to North Creek, the railroad connects riders with hiking, camping, fishing and more. 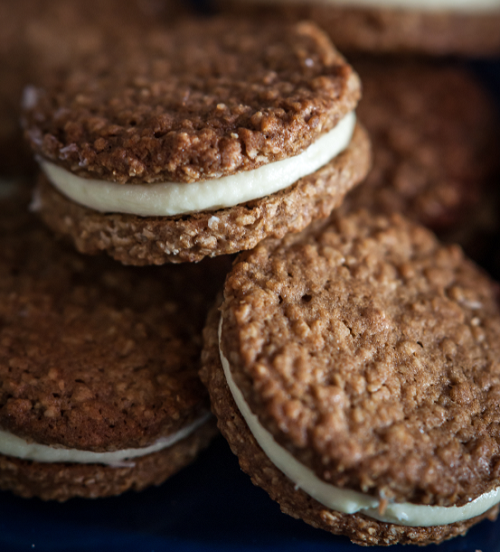 Explore the quaint Adirondack towns, visit a dude ranch, try whitewater rafting or visit a goat-cheese-making farm. With seven stops to explore, the Saratoga & North Creek Railway offers visitors a new adventure each time they ride. 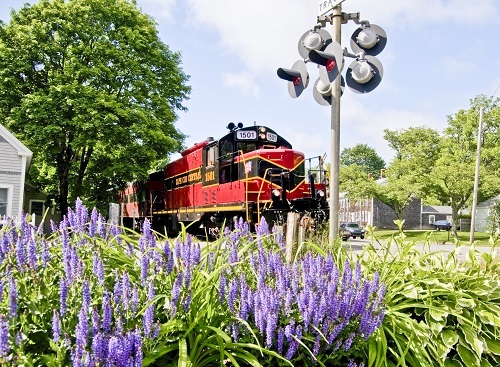 Showing travelers the hidden beauty of the Cape only accessible by train, the Cape Cod Central Railroad explores the Cape’s woodlands, sand dunes, salt marshes and cranberry bogs. 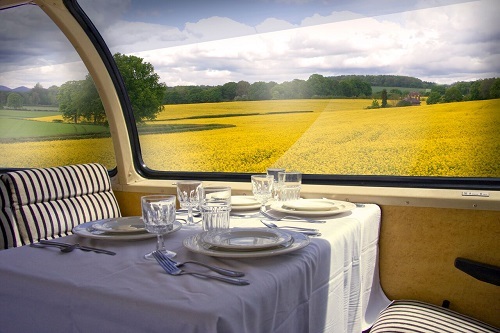 Guests can choose from relaxing scenic rides with on-board narration, elegant dinner trains, family friendly lunch and brunch trains or one of the many special events available throughout the year. Win a two-night family-friendly luxury hotel stay and free photo prints from Artifact Uprising just for posting photos on Instagram! 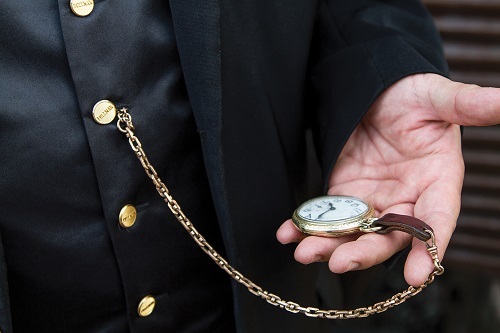 Preferred Hotels & Resorts is holding a #FamilyTravelTruth contest. And when they say truth, they mean it! They want to see those authentic family travel moments—from calm to chaotic…you know the ones! Post your favorite family travel moments to Instagram—past or present, picturesque and the unfiltered, because this hashtag campaign celebrates the unpredictability that goes hand-in-hand with family travel. Share your favorite #FamilyTravelTruth moments on Instagram each week from July 26 to August 23 for a chance to win a two-night stay at one of Preferred Hotels & Resorts’ family-friendly luxury hotels around the world and 25 Instagram photo prints from Artifact Uprising. Among its portfolio of more than 650 distinctive properties worldwide, Preferred Hotels & Resorts has carefully curated nearly 250 family-friendly hotels that go beyond the typical kids’ club. These properties offer knowledgeable concierges who can recommend fun activities for guests of all ages, as well as a range of amenities to meet the unique needs of traveling families such as babysitting services, children’s dining options and spa menus, on-site experiential programming including language lessons and cooking classes, and spacious accommodations with multiple rooms and full kitchens. From an eye-opening city excursion at Regal Hong Kong Hotel and an outdoor sporting retreat at The K Club in Ireland, to a fun-filled beach getaway at NIZUC in Cancun and a history-rich sojourn at the newly renovated Boston Harbor Hotel, Preferred Hotels & Resorts is your resource for an elevated, one-of-a-kind family travel experience. Now get to Instagramming—and good luck! Mention The Greenwich Hotel in Tribeca and celebrities, romance, world-inspired décor and children—yes, children, come to mind. With accommodating rooms and lots to do both inside and outside, the Greenwich is one of NYC’s most family-friendly hotels. It’s also one of my fave hotels! The under-12 set is welcomed with open arms and mindful amenities like homemade cookies with milk, stuffed animal and beautiful origami books. 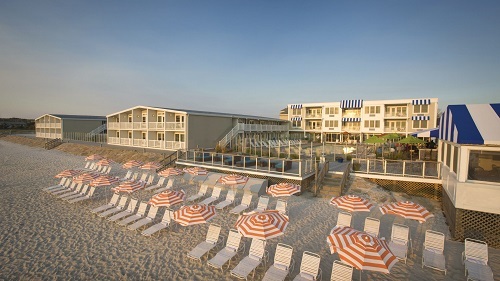 The hotel also offers fun ways to see the city whether on complimentary Shinola bikes for a ride along the Hudson followed by a picnic lunch, sailing in the harbor at sunset or mini-golf and beach volleyball at Hudson River Park. And, of course, the new Freedom Tower is only 10 minutes away, and Broadway is just a 15-minute car ride. 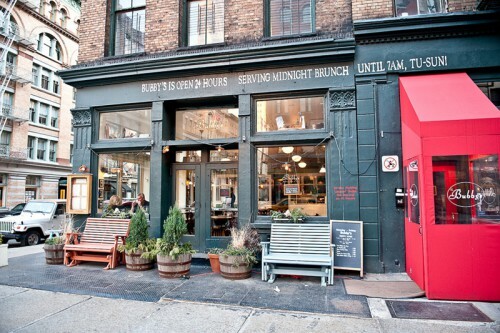 Or stay close to home and explore the Tribeca neighborhood. 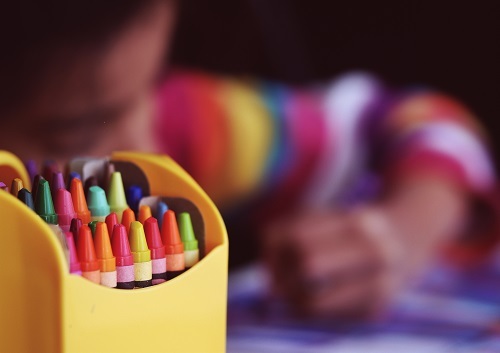 Stop by Color Me Mine to paint your own pottery, grab a bite to eat at Bubby’s Pie Company or peruse the beautiful handmade toys at Playing Mantis. If you’re headed to NYC for the holidays, the Greenwich Hotel has you covered. Where better to relax after the Macy’s Thanksgiving Day Parade? 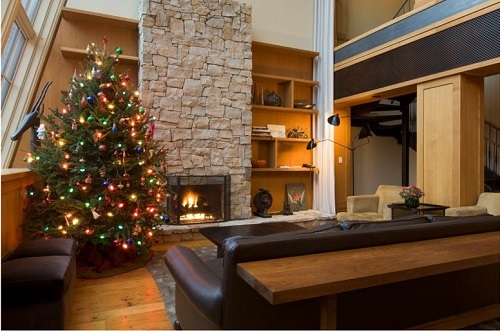 And Christmas is a wonder with a room that includes a live tree to decorate! With that much posh, how can you go wrong? For nine years my family of five has driven to Falmouth, then hopped on the Steamship Authority ferry to Martha’s Vineyard, all in one day. 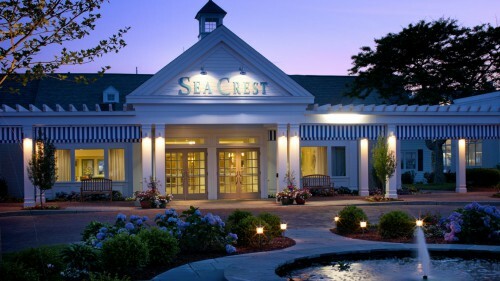 This year, we decided to do something different and spend the night at the Sea Crest Beach Hotel in Falmouth, MA, then take the ferry early the next day. We arrived, and the valet immediately hustled over to put my newborn’s pack n’ play on a cart, and to his credit, he even gave the boys a ride to the lobby! We were put in a room in one of the wings of the hotel that isn’t attached to the main building. I wasn’t in love with these detached rooms, because they felt more 1960’s motel than upscale beach inn. The nice part is that you can open the door and stroll right onto the beach (literally) and catch killer sunset views right from your balcony. The hotel has 263 rooms, and many have the option to open up a wall to accommodate larger travelling families. 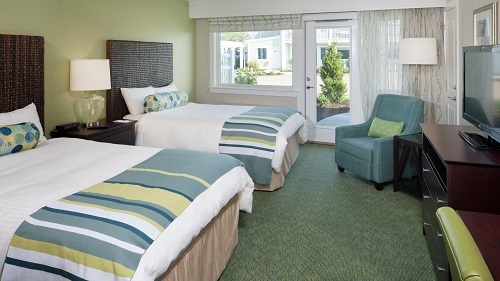 Each room has been recently renovated in a lovely beachy decor. I loved the main part of the hotel which was once Henry Fonda and Jimmy Stewart’s summer theater. There is a Starbucks, which becomes an impromptu meeting place each morning, as well as Red’s Restaurant & Lounge. The restaurant boasts a cute takeout window for when kids (ahem) throw a major tantrum in the restaurant, and you have to take your meal outside. With prices into the $400’s during the high season, I recommend this hotel just on the shoulder of September, when they drop into the 200’s. The water will still be warm, and the food delicious! 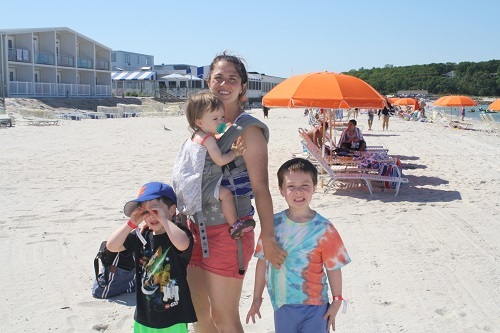 We were thrilled to visit the Sea Crest and the feasibility of driving five minutes down the road to get on the ferry to start our Martha’s Vineyard vacation can’t be topped. Our guest poster this week is Kate Rockland. Kate lives in New Jersey with her husband and three unruly children. When she’s not making forts out of pillows or begging people to buy one of her two novels, she loves traveling through New England. Whether you’re a committed fitness guru or looking for ways to keep your family active this summer, travel can often be an impediment to getting your sweat on. Fortunately, dude ranches are the original all-inclusive vacation destination where adventure and fitness go hand in hand. Featuring hiking, rock climbing, fitness centers, water sports and more, the Dude Ranchers’ Association (I didn’t even know there was such a thing!) 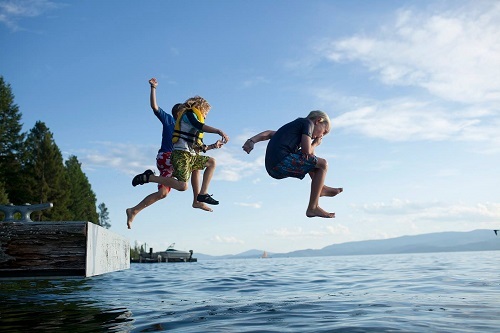 has a host of out-of-the-box ideas for those seeking to stay active this summer. Guided Adventures at Averill’s Flathead Lake Lodge in Bigfork, MT offers a comprehensive lineup of outdoor excursions, ranging from fly-fishing to whitewater rafting. If you’re looking for something a little different, check out Northern Lights Laser Tag, the world’s most advanced laser tag with ranges of up to 20,000 feet (that’s three football fields in length!). You’ll find yourself climbing in trees, hiding behind boulders and even creating makeshift camouflage to bring home a win. 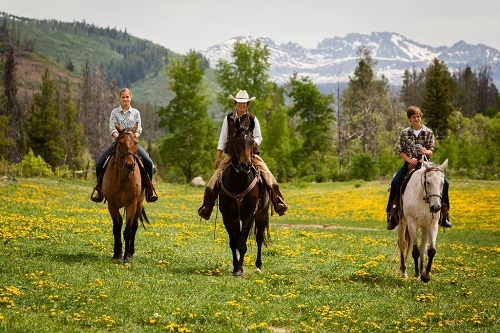 Experience Yoga and Horses at The Home Ranch in Clark, CO the ultimate girlfriend getaway in the beautiful Elk River Valley. 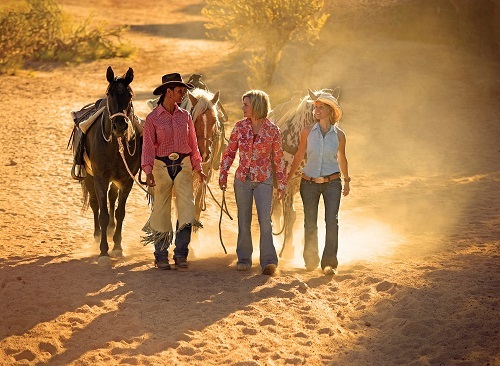 Cowgirls of all ages are invited to join this all-inclusive, luxurious week of health, wellness and relaxation centered on horseback riding, yoga and deep relaxation on the Home Ranch property. Previous yoga and riding experience are not required to enjoy this retreat. Rock Climbing at Horseshow Canyon Ranch in Jasper, AK is known in the climbing community as a top destination for experienced climbers and novices alike. 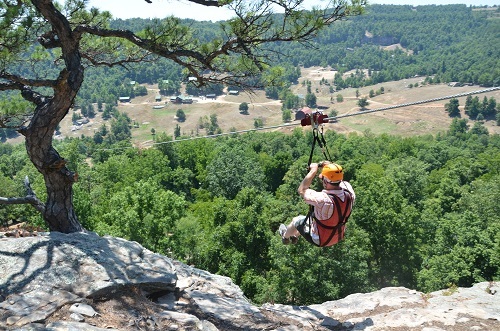 With more than 300 routes on the property, on-site climbing guides will help you lace up your shoes for the first time or take your climbing to the next level. Outdoor Adventures at Rancho de los Caballeros in Wickenburg, AR has the space and scenic location to enjoy your favorite sports activities – whether it’s tennis, swimming or perfecting your shooting skills. When you want to cover a lot of territory, hop in a Jeep, all-terrain vehicle or hot air balloon to experience the property in a completely new way. Cowgirl Retreats at Bonanza Creek Country Ranch in Martinsdale, MT are the perfect hybrid of empowering your mind and body. Your days will begin with a hearty breakfast, followed by a morning with the horses and an afternoon ride through the Montana countryside. Guests are encouraged to wind down with a massage or continue exploring on a hike or fishing excursion. Have you ever been to a dude ranch? Did you love it? Share in the comments below! This post contains a link sponsored by EHIC Card Renewal. When you imagine traveling to Paris, boutiques, expensive wine and world class cuisine come to mind. The City of Love truly deserves the reputation as the most romantic city in the world and is the perfect city break whether you’re looking for a romantic escape or the art gallery and museum experience with the kids. 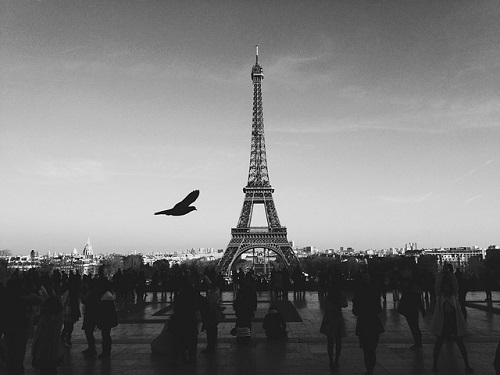 If you’re planning on a Paris trip soon, then make sure to have your passport and, if you’re a European citizen, that you carry out a renewal of an EHIC. We want your trip to be hassle free, so we’ve put together a guide to a luxury Parisian holiday with all of the perks that only Paris can give you. There’s a huge selection of luxury accommodation when it comes to your Parisian holiday. If you’re looking for boulevards, boutiques and brasseries, Paris will be the perfect place for you. 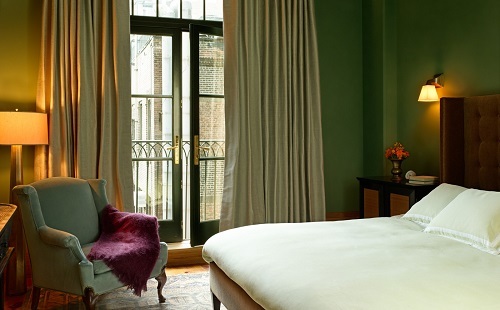 Between its Gothic cathedrals, chic avenues and revolutionary spirit, there’s luxury accommodation to suit all budgets. 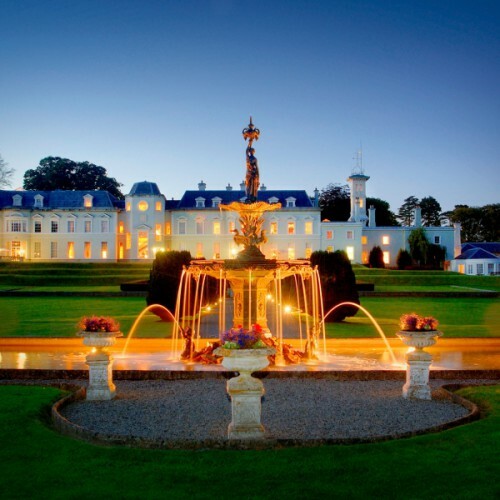 With a range of 5-star palace hotels, you’ll find yourself in the lap of luxury in no time. Gourmet cuisine is a phrase often associated with the French capital, and when it comes to Michelin-starred restaurants, Paris provides you with the best of the best. Whether you’re traveling with the whole brood or looking for a quick romantic getaway, there is suitable cuisine for all. Indulge in oysters and champagne, or try something a little more traditional like Gougère or Bœuf bourguignon, there will be plenty to tempt your taste buds. Jumping straight into beautiful Parisian culture is the best way to experience the capital city. The Centre Pompidou is the place for all things modern. The Musée d’Orsay is home to stunning collection of western art, but of course the Musée du Louvre is the most well-known and is home to the world famous Mona Lisa. However, if you’re looking for chandeliers, marble and red satin for a glamourous night out, then the Palais Garnier is unrivaled with its iconic opera and ballet productions. Or for something different, try the beautiful Musee Carnavalet! No trip to Paris would be complete without a trip up the Eiffel Tower to view the twinkling lights of the city below in one of the most beautiful settings in the world. Hop onto a river tour along the Seine, and admire the breathtaking views and architecture of the city at night while sipping on a glass of champagne. Definitely don’t miss stopping at the famous Champs Elysées to take part in the grandiose affair of shopping that has been at the heart of Parisian culture since the 19th Century. Whether you’re looking for classical chic, famous boutiques or street fashion, the vast array of shops in the center makes for one of the best shopping experiences you can dream of. This is a sponsored post. All thoughts and opinions expressed on Poshbrood and Posh Blog are our own. This post is sponsored by Thomson. Iceland is a little different than your typical summer beach holiday. 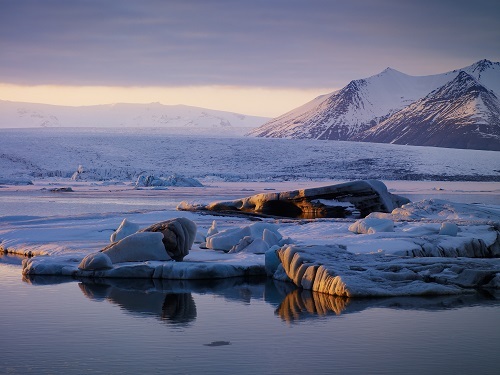 Although the landscapes look worlds apart, Iceland is just a short flight from the UK, and with a bit of strategic shopping you might even find some good deals. 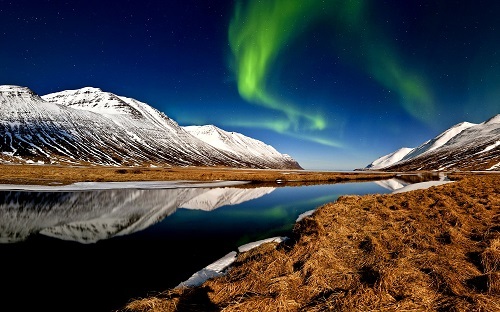 So, on your next trip across the Atlantic, there’s really no excuse for skipping Iceland! 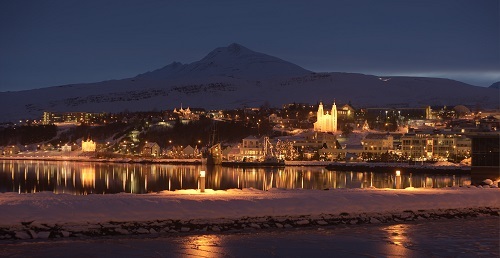 Reykjavík is small, but certainly not lacking in character. Summer is perhaps the best time to experience this city because the sun stays up for so long. Between the harbour and the old town, the museums and the galleries, there’s so much to see that you’ll be glad for the long days. While you’re there, set aside one night to go to the Solfar Sun Voyager sculpture and watch the midnight sunset. 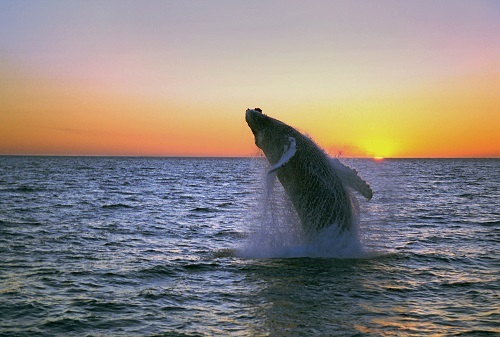 The waters around Iceland make it one of the best holiday destinations in the world for whale watching. In summer, over 20 different species inhabit the surrounding Atlantic and Arctic Ocean shores. So whether you’re in southerly Reykjavík, or Húsavík in the north, whale watching tours depart from all over the island. Keep your eyes peeled when you’re at sea—you might even spot dolphins, seals and sharks! 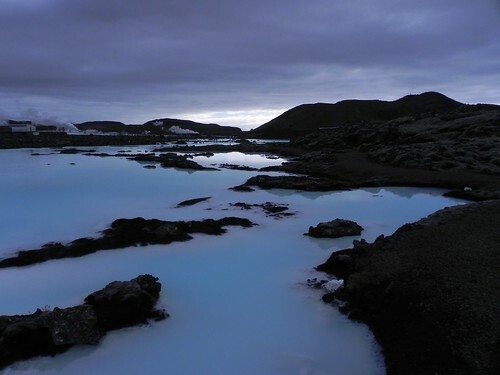 The Blue Lagoon is one of Iceland’s most alluring attractions. Located in the middle of a lava field, the hot waters here are said to have a healing and rejuvenating effect. The rising steam and striking volcanic backdrop combine to create an unforgettable experience, so make sure you check this one off your Iceland to-do list. Gullfloss, or the Golden Falls, is one of the most stunning waterfalls in Europe, if not the world. 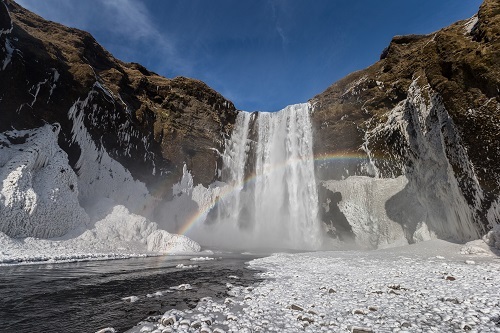 The River Hvítá spills into a huge crevice with incredible force, and if you visit on a sunny day, the rainbows in the mist will take your breath away. The falls are on Iceland’s Golden Circle tour route, so you can combine your visit with stops at Haukadalur. This peninsula is the best place to experience Iceland’s dramatic and varied scenery in a smaller space. Whether you travel by car or on foot, you’ll see mountains, cliffs, lava fields, and beaches. 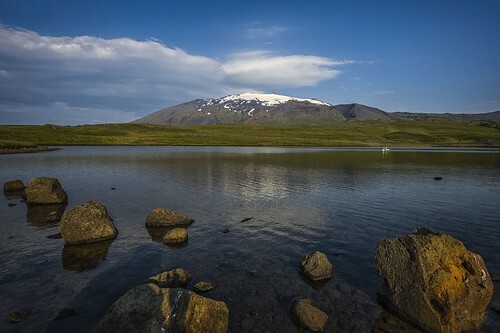 The area is also home to the Snæfellsjökull Glacier, which covers the top of an active volcano. You might recognize it as the pivotal location from the film, Journey to the Center of the Earth. If you have time for a longer trip to Iceland, there is plenty more to see and do – or visit again in winter so see a different side to the island (and catch a glimpse of those elusive Northern Lights!). Exciting news from the Ritz-Carlton Orlando, Grande Lakes! They’re rolling out a brand-new Ritz Kids interactive experience this summer, and we’ve got the deets you need right here! 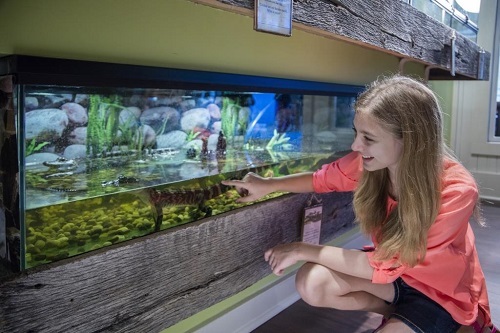 Grande Lakes is the first Ritz-Carlton to offer a physical space to bring the hotel’s scenography to life, and the refreshed Ritz Kids space and programming offers children the opportunity to become fully immersed in Florida’s rich history and biodiversity. 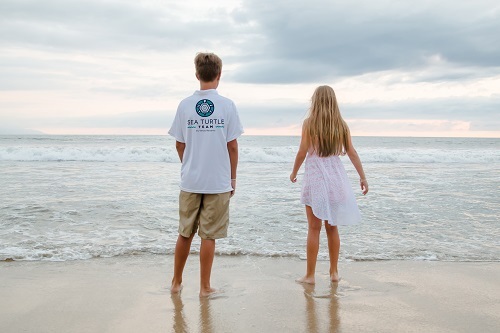 In this new experience, Ritz Kids continues its partnership with Jean-Michel Cousteau’s Ocean Futures Society inviting little ones to discover adventure and exploration through four pillars: water, land, environmental responsibility and culture. The journey starts at check-in, when kids embark on their adventure to learn more about the unexpected history of central Florida and the footprints it has left on the region through a variety of experiences against the backdrop of a reimagined trading outpost, characteristic of early Orlando pioneer life. The focal point of the Ritz Kids space is the re-creation of a “Frontier Farmhouse,” as inspired by the traditional Florida frontier house, once the residence of ranchers who flocked to central Florida to explore the state’s vast, barren land for roaming cattle, ample water supply and sunshine. Elements of these structures have been incorporated into the design, whose defining characteristic was a breezeway passing through the center of the house, serving as a natural air conditioner. Positioned at the headwaters of the Florida Everglades, the resort offers families the chance to experience a taste of Old Florida. Orlando may have evolved into a bustling metropolis, but the Everglades remain an unparalleled landscape and the “largest subtropical wilderness” in the United States. Underscoring the commitment to the two pillars of water and environmental responsibility, the main play area features a special carpet made from recycled fishing nets whose pattern mimics a bird’s-eye view of The Everglades. Ritz Kids teaches children more about this natural region of tropical wetlands located right in the hotel’s backyard. “The Swamp” isn’t as scary as it sounds! This is where many of the friendly Ritz Kids critters call home. A number of educational and interactive opportunities await from the moment children enter the space, including discovering the resort’s very own Cypress Tree, a hallmark of the swamplands and type of tree that has been growing in the state for more than 6,500 years. 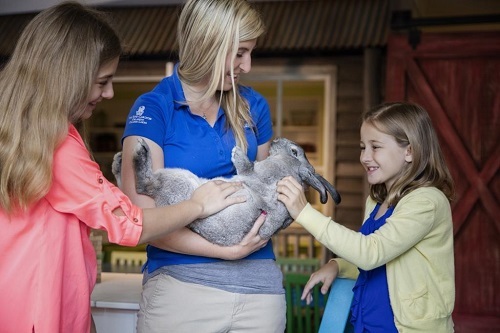 Kids can get up close and personal with a variety of new additions to the Ritz Kids menagerie as part of the upgrade. In addition to meeting sirens and anoles, children have the opportunity to learn about the impact these creatures have on the Florida ecosystem. 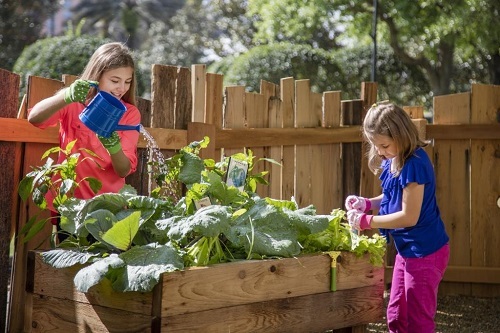 “The Green Thumbs Garden” pays homage to Central Florida’s agricultural history and invites budding botanists to plant their own Grande Lakes roots. 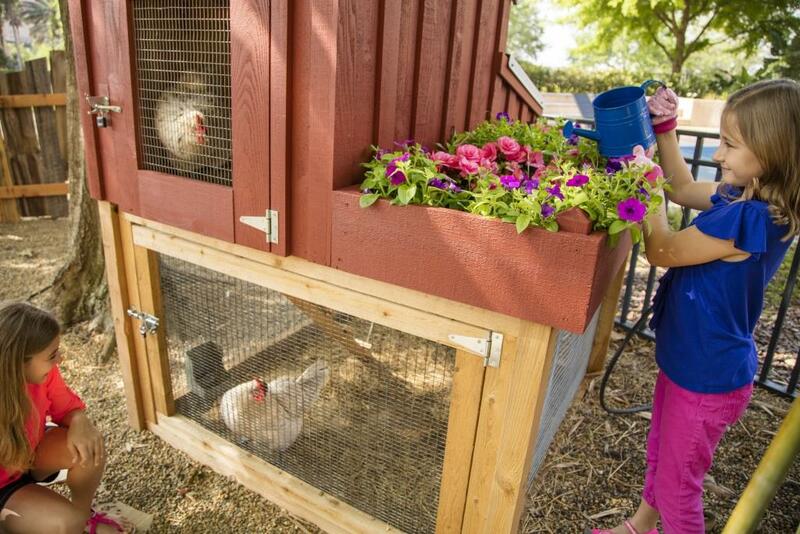 Kids can immerse themselves in nature here, using planters made from repurposed pallets to examine the world of edible seeds and nuts and learn how humans, animals and plants benefit from them. Grande Lakes Orlando has launched a collaboration with a local non-profit organization striving to educate others about Florida’s wildlife and habitats and promote conservation and the great outdoors while providing for animals in need. As part of the partnership, Grande Lakes is providing a safe haven for animals that have been rehabilitated after sustaining injuries by releasing them back to their natural habitat on the resort grounds. In addition to the new Ritz Kids program, guests of The Ritz-Carlton and JW Marriott hotels can take advantage of the many other family activities offered at Grande Lakes Orlando including fishing opportunities from the shore and guided excursions to the private waters of Shingle Pond. There is also an interactive catch and release program as part of a collaboration with the Florida Wildlife Commission that transforms a typical day of fishing into a research adventure to determine why certain types of largemouth bass grow faster than others. 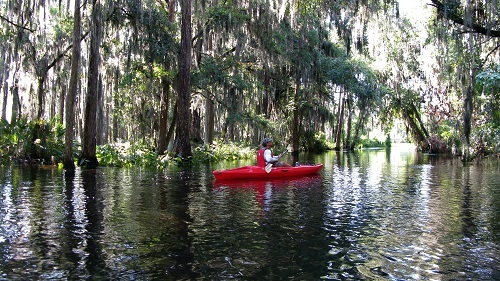 Other outdoor excursions include two-hour guided Eco-Tours through Shingle Creek and birdhouse building while bird watching. The Big, Friendly BFG Summer Celebrations! Do you love the BFG as much as we do? YES! 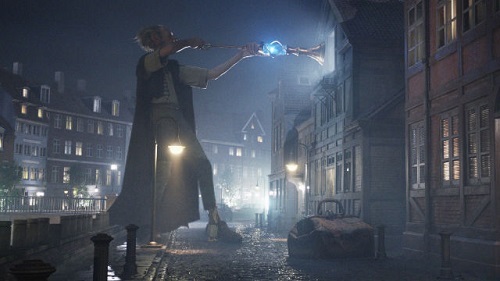 We were already super excited for The BFG movie that opens TODAY in the United States. 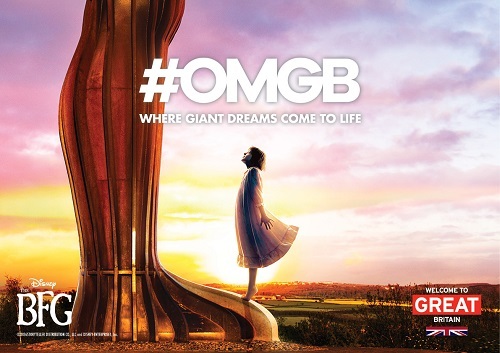 Then we found out that there are loads of BFG activities taking place throughout Great Britain all summer long to celebrate not only the release of the movie, but also the 100th anniversary of Roald Dahl’s birth. Book us a ticket, we’re so there! The film, directed by Steven Spielberg and based on the book by Cardiff-born author Roald Dahl, was filmed at locations across Britain including Blenheim Palace, London, the Isle of Skye and Bamburgh Beach in Northumberland. You can visit all those places and participate in all the exciting events celebrating both the movie and Roald Dahl’s September 13th birthday. Check them out below! This summer the streets of London will be transformed by magical giant dream jars containing the dreams of celebrities and top artists such as Steven Spielberg, Sophie Dahl, Quentin Blake, Nadiya Hussain of Bake Off fame, Paralympian David Weir, Game of Thrones’ Maisie Williams and Arsenal Football Club. Find out more here! Cardiff: City of the Unexpected is a birthday weekend celebration taking place September 17th and 18th. To mark his centenary and to give thanks for the legacy he created, this will be a totally surprising celebration of the man, his characters and his stories. The Welsh capital will become a place where reality is turned on its head, and where the laws of physics, logic and the predictable will give way to magic, fun, invention and the surreal, as if Roald Dahl himself is at the helm. Don’t miss out on any of these fun events either! • The BFG in Pictures at the House of Illustration, London. It’s going to be the biggest, friendliest celebration ever! At Gleneagles Hotel, You’ll Never Want to Come Inside! Now is a great time for a visit to Scotland! 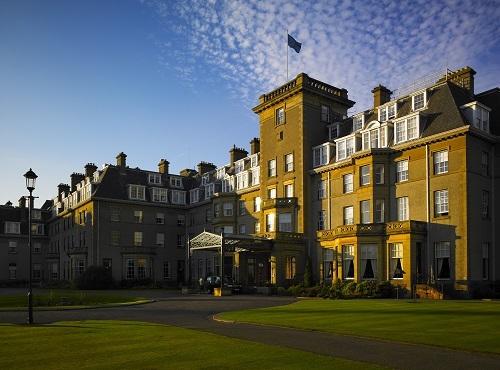 We love the Gleneagles Hotel—a 5-star Scotland resort on 850 acres of Perthshire countryside. 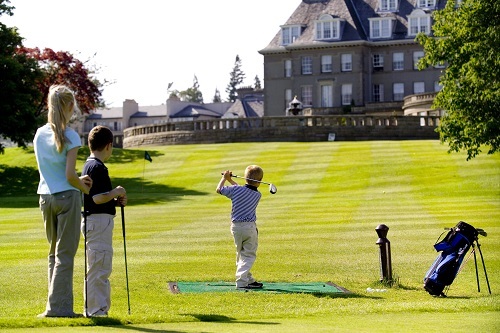 Just one hour from Edinburgh and Glasgow, Gleneagles is home to three championship golf courses, including The PGA Centenary Course, Host Venue for the 2014 Ryder Cup, more than 20 outdoor activities, an award-winning Spa by ESPA and four restaurants including Scotland’s only two Michelin-starred restaurant, Andrew Fairlie. Gleneagles recently announced a property-wide redesign that will preserve the iconic resort’s rich history and character while debuting chic guest rooms, stylish public areas, a new bar at Dormy Clubhouse and a revamp to the main bar. 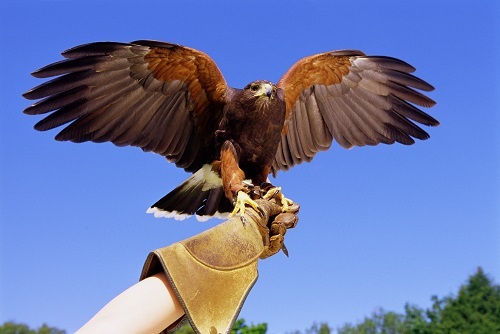 From learning the art of Falconry and clay shooting to playing a round of golf on a championship course and relaxing in the award-winning spa, every member of the family will enjoy exploring the 800-acre luxury resort. From June 25 – September 4, there are daily summer adventures for everyone! Pitch ‘n’ putt, country pursuits, pony caregiving and Segway tours are just the beginning! Through the Children’s Country Sports Passport, Gleneagles provides world-class sporting schools for kids who want the ultimate educational outdoor experience. 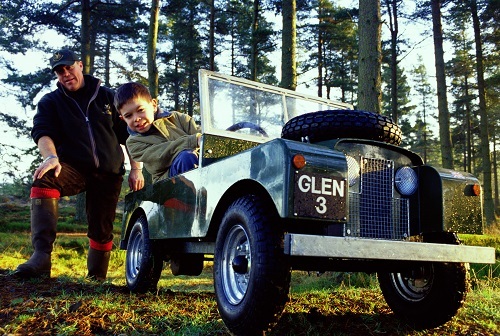 Local experts teach the art of falconry, clay shooting and archery as well as gundog training, fishing and junior off-road driving in mini Land Rovers through hands-on instruction. It’s every kid’s dream to own their own pony! 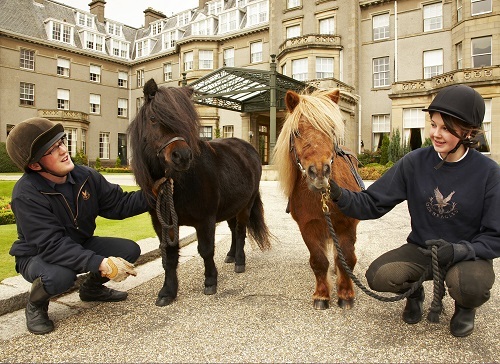 Under the watchful eye of Gleneagles’ equestrian experts, you can learn how to properly care for Scotland’s indigenous Shetland ponies. 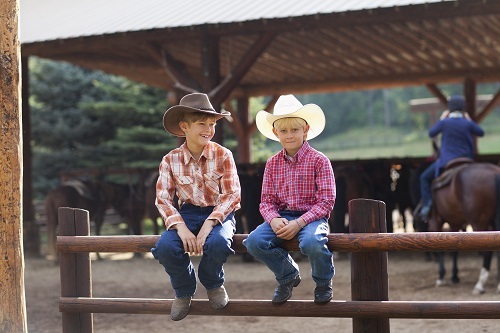 Before a riding lesson, kids six and up can groom, cuddle and tend to the pony’s stable. Have some family fun time exploring the grounds on a Segway tour! The 45-minute guided tour is a fun way to get around and allows access to places not easily accessible by car. If you’re kids are interested in golf, why not have them experience the game where it first got its start? For those not quite ready to take to the courses, our nine hole Pitch & Putt is great fun for all ages and abilities. An 11-acre championship practice ground, as well as several putting greens ensure you never have to go far to hit a few balls!